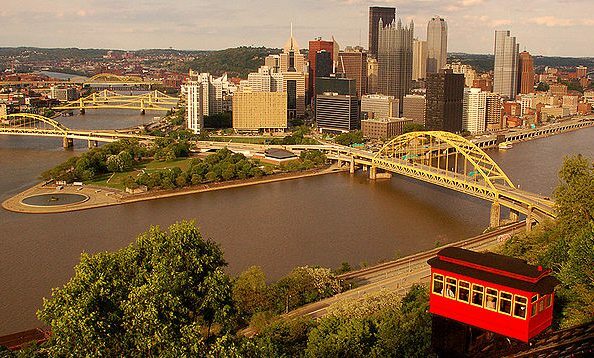 Pittsburgh, Pa. – Steel City FC (2-4-0) wraps up the 2018 campaign this weekend with a pair of contests. The first is on the road Saturday, July 7 against the Empire Revs (1-6-0) in West Henrietta, New York. The clash between the Ohio Valley Conference opponents in the Women’s Premier Soccer League gets underway at 1:00 p.m. The Women of Steel are sixth in the nine-team Ohio Valley Conference while the Women of the Empire State tied with the Indy Saints FC for last. The Cleveland Ambassadors clinched first place in the OVC with a 7-0-1 mark, as well as the best record in the East Region, and are playoff bound. Players performing well for Steel City first-year head coach Tom Ovenden include a pair of goal-scoring forwards, Melanie Renda from Seton Hill University, and Amanda Miller from Fordham University. Former Edinboro University player Jansen Jamison, a forward/midfielder, is among the team leaders in assists. Followers of Steel City can appreciate the team in their season finale at home Sunday, July 8 at the Ellis School against the Columbus Eagles FC (4-3-0). The two squads take the pitch at 4:00 p.m. Columbus is in third place in the OVC standings. From The Clipboard: Steel City hosts a Youth Soccer Clinic Monday and Tuesday, July 9-10 at the Turner Valley Soccer Complex in Irwin, PA. The online player registration is here.